WH Defends Trump's 9/11 Attack On Omar [VIDEO] - Joe.My.God. 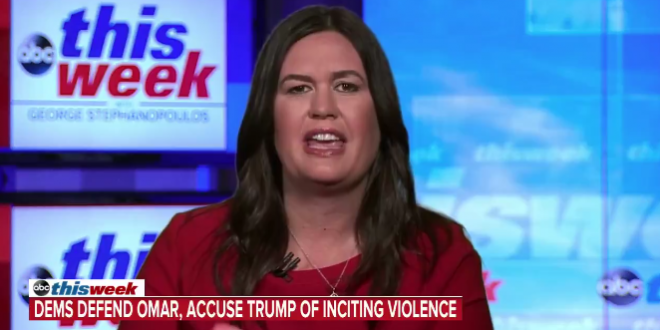 “Certainly the president is wishing no ill will, and certainly not violence towards anyone,” Sanders said on ABC’s This Week. “But the president is absolutely and should be calling out the congresswoman for her not only one time but history of anti-Semitic comments,” she added.